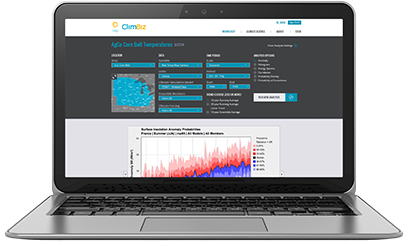 ClimBiz will provide a rich set of 21st century supercomputer scenarios of environmental variables illustrating the climate trends and variability that may challenge your business or provide opportunity. 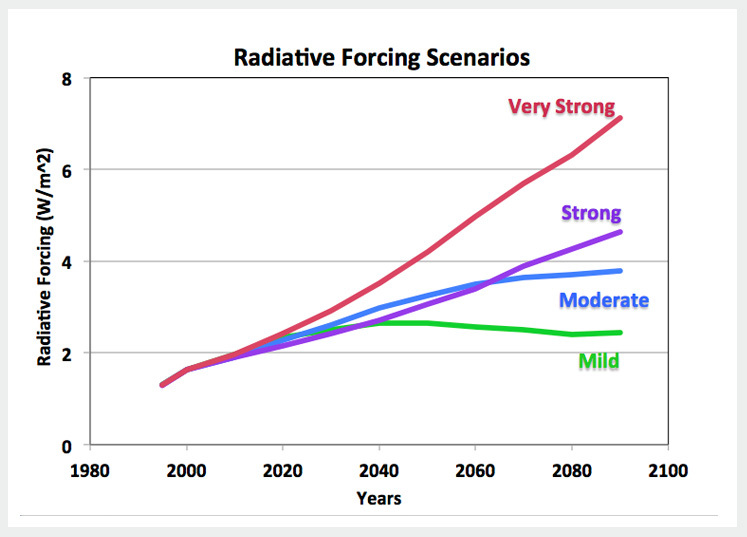 With these scenarios you can create simulations of future business performance that will help ensure resilience. 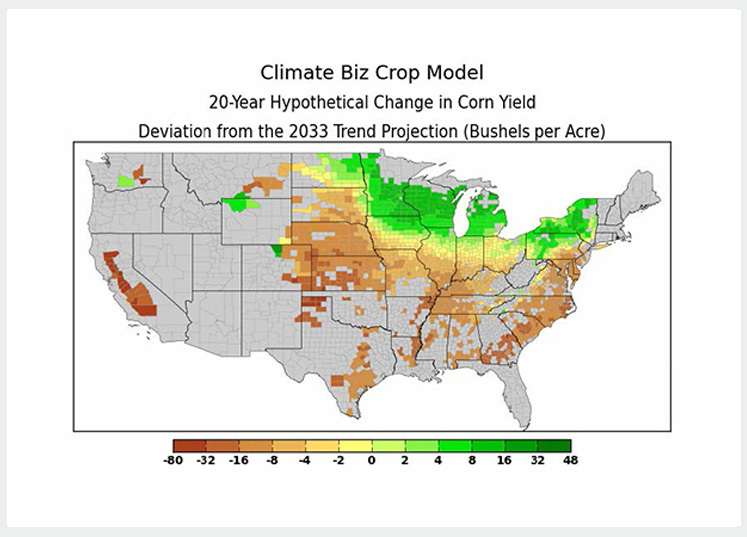 ClimBiz models demonstrate quantitatively how optimum regions for U.S. grains will migrate and evolve with projected changes in climate. 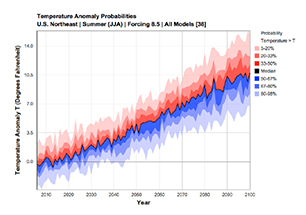 ClimBiz scenarios of temperature and available solar and hydro energy over the 21st century will allow electric utilities to foresee demand and explore mixes of energy sources that may become more profitable as technology evolves. 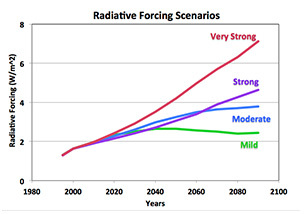 The international climate change projections are based on four scenarios of greenhouse gas emissions and the resulting 21st century radiative heating rates, denoted here by Mild, Moderate, Strong, and Very Strong. Which environmental variables are critical in your business? 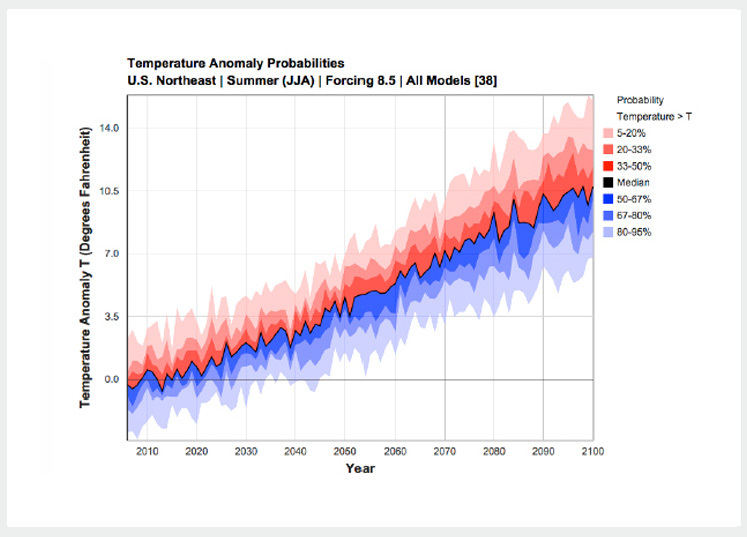 Are you most concerned about trends, volatility, or extremes—or all three?